This Saturday was full of events celebrating Black History Month in Buffalo. 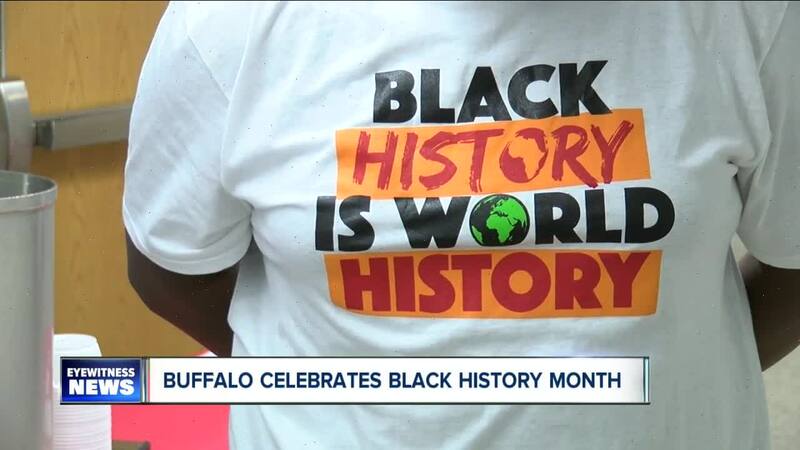 BUFFALO, N.Y. (WKBW) — This Saturday was full of events celebrating Black History Month in Buffalo. B.U.I.L.D Community School hosted a living history museum where students dressed as influential African Americans from the past and present. They also had to present and act like their character to peers and people that walked through the school halls. The MBK Freedom Collage debuted at the Albright-Knox Art Gallery. My Brother's Keeper ale Academy Program Scholars created this piece of art using the unique history of WNY's underground railroad heritage. Student worked with teachers and local experts to display what they thought represented the journey to freedom slaves had to face years ago. Burlap, color cloth, wood and rocks fill the wall to represent the WNY Underground railroad. The first ever Black History Bee launched on Saturday at the East High Community School. Legislator April Baskin and Eva Doyle helped sponsor this event where 13 Buffalo Public Schools tested their knowledge of black history in Buffalo. "The black culture has contributed so much to what America has become," Baskin said. "I think it is so important for young people to understand that and be proud of it." To find more events celebrating black history month click here .